The Mad Scientists at Sixpoint Brewery are always experimenting and brewing up something special and one of their latest releases is the Beast Mode Porter. As luck would have it, the release came right before the Super Bowl in which the original and (Mostly) trademarked “Beast Mode” Marshawn Lynch, nearly single-handedly willed his Seattle Seahawks to a repeat Super Bowl victory. 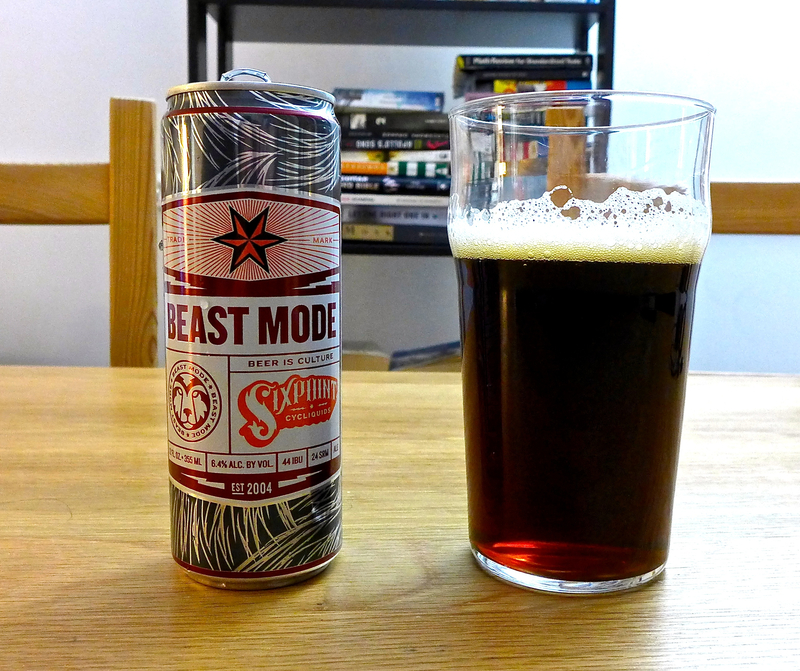 The Beast Mode by Sixpoint Brewery is a porter styled beer that comes in 12 oz. cans, carries a 6.4% ABV, and is 44 IBU (Level of bitterness). This beer is “downright beastly” as Sixpoint puts it for the intensity of coffee, roast, hops, and caramel flavors. This medium bodied beer has everything that makes a porter such a great style, but the added flavor profiles the Mad Scientists have injected really take this over the edge. Appearance - Pours a strong dark brown/chocolate/amber with a red hue and is clear when light is directed at the beer. The head is thin and pale. Aroma – Starts off with a chocolaty liqueur scent, followed by roasted coffee, caramel and a tinge of pine and citrus. Taste – The bitterness hits the tongue first, followed by the chocolate, coffee, toffee, and caramel flavors. This flavor punch comes off as a barley wine more than a porter. Overall – 8.5/10 This porter is bursting with flavor and it feels like a mash-up of a barley wine, a red ale, and a pale ale. Appropriately named “Beast Mode” as the beer is intense, but it doesn’t overwhelm. The subtle hop bitterness and citrus is right there to perfectly play off the chocolate and coffee flavors a porter tends to take on.